In 2003 a study by Sandra Barker, Gorm Rasmussen and Al Best found a 12% decrease in anxiety in patients experiencing pre treatment anxiety, fear, frustration and depression when exposed to an aquarium prior to treatment. Neurobehavioral Research Laboratory and Clinic in San Antonio Texas. Some of our studies involve clients experiencing a range of psychiatric disorder and distress. Our mission, includes the goal of easing human suffering from mental health issues. As a part of this mission, we strive to develop practices and procedures that comfort the patients that we see. One project that we have to achieve this goal is our aquarium project. Research* has shown that as little as 5 minutes contact with nature features, like an aquarium, can significantly decrease stress, reduce anger and fear, and increase pleasant feelings. 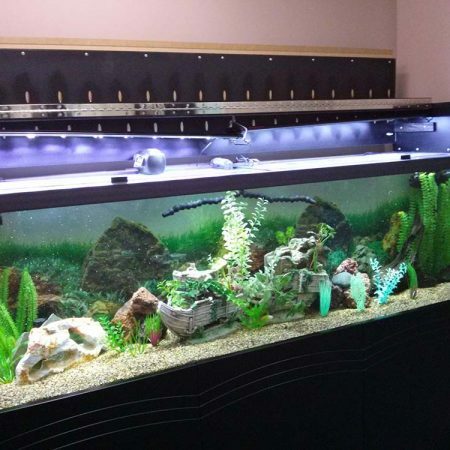 As per researches in medical science, high blood-pressure, stress, anxiousness and many more diseases are cured by staring at tranquil beauty of fish aquariums. Researches also assert that if a child suffering from anxiety, observes a fish aquarium for prolonged period of time then he gets healed early. A study by the experts from the National Marine Aquarium, Plymouth University, and the University of Exeter found that staring at swimming fish lowers blood pressure and reduce heart rate. They found that heart rate is decreased by 3% when people simply stared at an empty tank with just rocks and seaweed. When fish were added into the mix, they found that heart rate decreased by more than 7%. The researchers concluded that exposure to this underwater setting can greatly improve people’s well-being. This is especially helpful for senior citizens who have problems with high blood pressure. 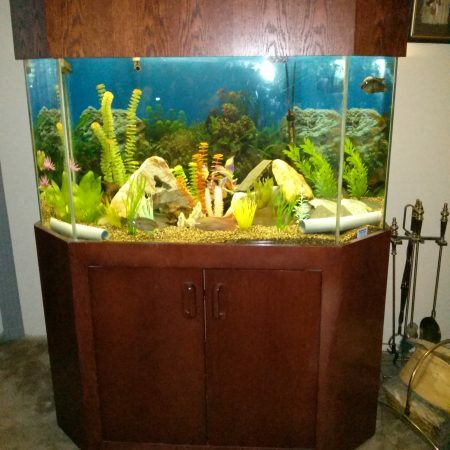 Fish tanks are commonly used to activate and enhance your money and career luck. If used properly, it can bring wealth, money, and abundance to a person. This is why aquariums and fish tanks are commonly seen in Asian restaurants and banks, and they are usually located close to the entrance. 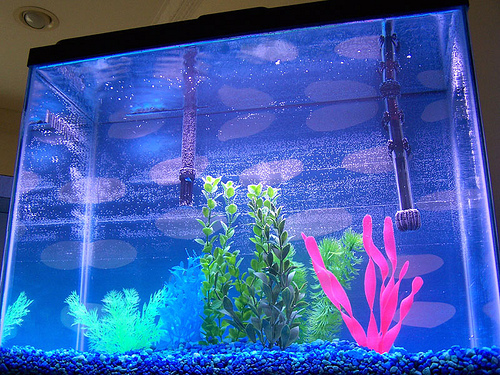 Fish tanks are also used as a feng shui remedy to counter negative energy. Other times, a fish tank can be used to bring more love affairs to a person by placing it at the “peach blossom” location. This may be desirable for those that are single but could spell troubles for those that are married. “It might surprise you, but I consider normal sized aquariums to be nice visual water items, but not activating much (luck). If true Water activation is needed in one specific area – for example, a business that needs water movement to increase the flow of customers – a water fountain of a decent size work better. 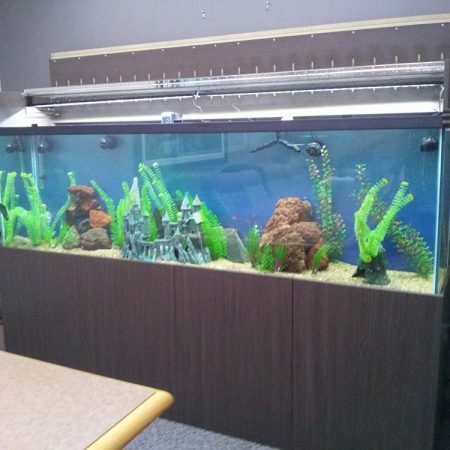 This is because most aquariums have very little surface contact with the open air and therefore ends up being decorative rather than true activators. Now, a large pond with Koi fish is another story, as those animals are big enough to move the water and have plenty of contact with the Chi of the air. Thinking that a closed aquarium does the same level of activation is like thinking some (negative) Sha Chi is created internally by the corners of pieces of furniture. It is not the case, as Sha Chi needs a bigger structure and is external. The principles must account for size and location, either external or internal. Remember, the direct/indirect spirit formulas exist only externally and are to be found in naturally occurring landforms. To summarize, I would still place the (home) aquarium in either North, East or Southeast sector as the water Element remains compatible with those sectors, but wouldn’t count on it only if a constant activation is needed. It reinforces the Water symbolic but does not move the Chi around much. Exposure to natural environments can have calming and stress-reducing effects on humans. Moreover, previous studies suggest that these benefits may be greater in areas with higher species richness. Our study took advantage of a “natural experiment” to examine people’s behavioral, physiological, and psychological reactions to increases in levels of marine biota in a large aquarium exhibit during three stages of restocking: Unstocked, Partially stocked, and Fully stocked. We found that increased biota levels were associated with longer spontaneous viewing of the exhibit, greater reductions in heart rate, greater increases in self-reported mood, and higher interest. We suggest that higher biota levels, even in managed settings, may be associated with important well-being and health benefits, particularly for individuals not able to access the natural analogues of managed environments.